Home \ HIPAA Compliance Products & Services Store \ HIPAA & HITECH COMPLIANCE TOOLS \ Basic HIPAA Training Video DVD and Workbook, 6th ed. National HIPAA expert, Jonathan P. Tomes, online HIPAA compliance training including certification and/or the HIPAA training video (DVD) and workbook. Your organization can take advantage of either to meet the DHHS requirement for initial and annual basic HIPAA training. This compliance training includes: HIPAA, the HITECH Act, and now the Omnibus (Mega) rule change. Engage your workforce members in becoming familiar with the requirements needed to run a smooth operation and avoid hefty civil and criminal penalties. We suggest if you have more than 25 members of your organizations workforce, order the unlimited access online version. If you have less than 25 members of the workforce make sure to order enough workbooks for your organizations workforce. 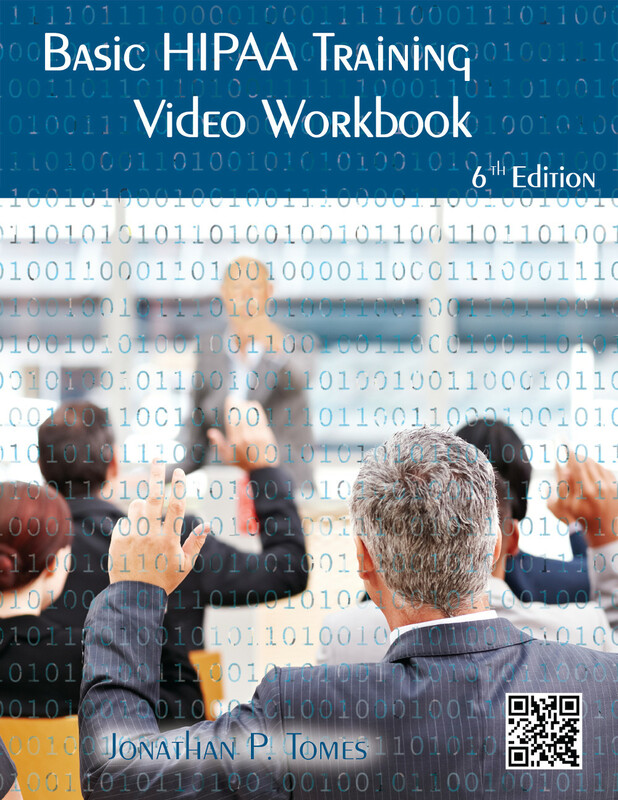 One-hour HIPAA Training video DVD and workbook focuses on the basics, including HITECH Act, and the Omnibus rule change requirements. Use to meet initial and annual HIPAA security and privacy training requirements. A test to place in employees’ records to prove compliance with HIPAA’s training requirement from the workbook or online certification. Know what HIPAA, the HITECH Act, and the Omnibus rule changes has to do with you. Know what the legal consequences are if you do not follow HIPAA, the HITECH Act, and Omnibus rule change training requirements. If you prefer to order offline via phone, fax, or snail mail, click here.